In kidnapping cases, the first few hours are vital. After that, the chances of being found alive go from slim to none. Alex Prevost is running out of time. And her abductor wants only one thing: to watch her die. Police Commandant Camille Verhoeven has nothing to go on: no suspect, no leads, no hope. 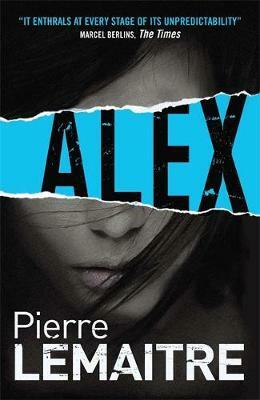 But as he begins to understand more about Alex, he starts to realise she is no ordinary victim. Beautiful, tough, resourceful, always two steps ahead – the enigma that is Alex will keep you guessing till the bitter, bitter end. Before long, saving her life will be the least of Verhoeven’s worries. Pierre Lemaitre was born in Paris in 1951. He worked for many years as a teacher of literature and now devotes his time to writing novels and screenplays. In 2013 he was awarded the Prix Goncourt, France's most prestigious literary award, for Au revoir la-haut.